Vegetable fried rice is a popular rice dish and can be made in a jiffy. It is an easy way to introduce veggies to kids, especially when they hesitate to take vegetables. But buying fried rice regularly from the restaurants is not a good option, is it? So let us try this at home. I have been doing this for many years and nowadays at least twice in a week. 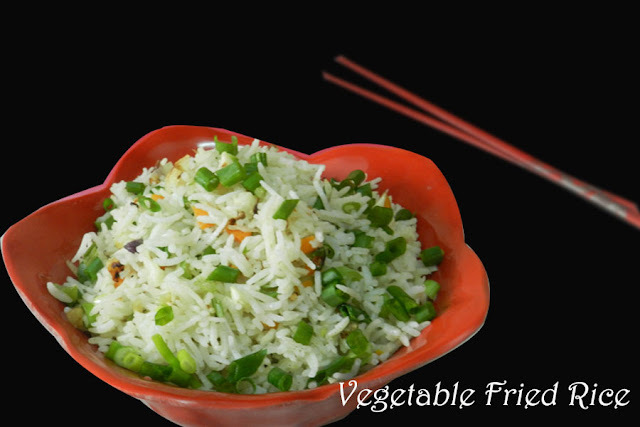 Here, I am introducing a healthy way to make fried rice without Ajinomoto and sauces. Due to controversies on Ajinomoto, I will not recommend you to use it, especially when you make it for the kids. Also consuming sauces regularly is also not healthy. Let us forward a step towards healthy food. 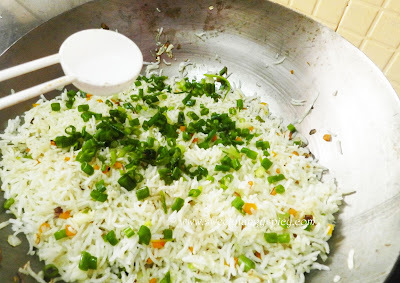 I have already given a detailed post on how to cook rice for fried rice. So I am not going to repeat that, but still a reminder. The rice should not be overcooked. It should be cooled completely before sauteing. You can also prepare rice in the previous night and refrigerate it. 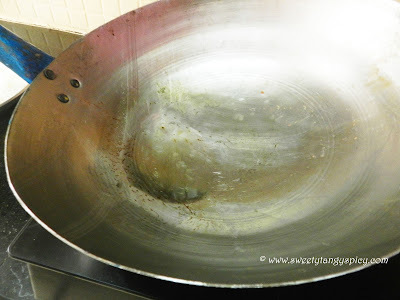 A well refrigerated rice will never give you a broken clumsy fried rice. To make vegetable fried rice, main items are carrots and beans only. But some area they are using capsicum and cabbages also. But I personally don’t like them in my fried rice. In addition to this you can use corn, baby corns, peas etc. Instead of using Ajinomoto, we can make a flavorful and tasty fried rice with the natural flavoring agents like ginger, garlic and spring onions, so please do not avoid any of these. Heat 3 teaspoons of oil in a pan. Always keep the flame on high. Add garlic and ginger. 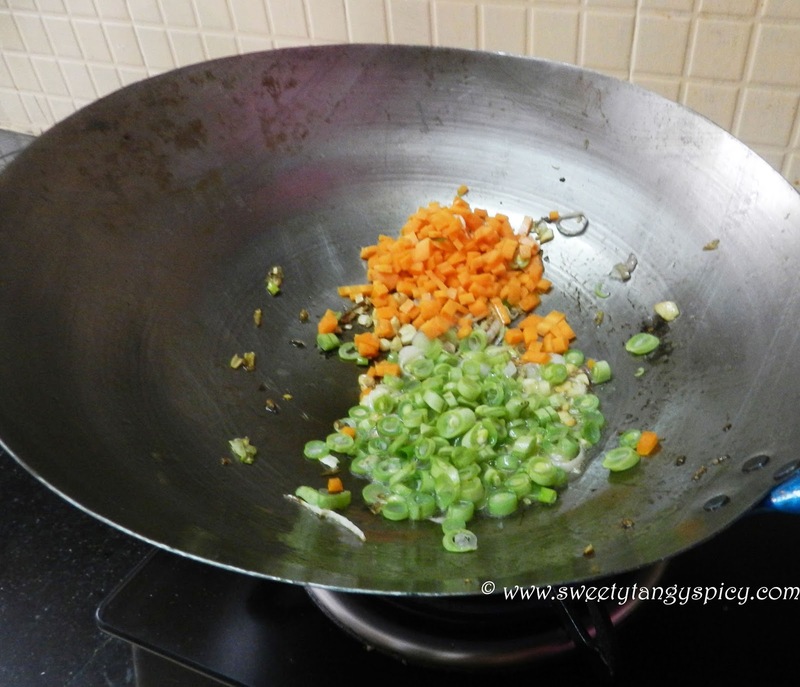 Saute for a minute on high flame, till the ginger and garlic became slightly brown. 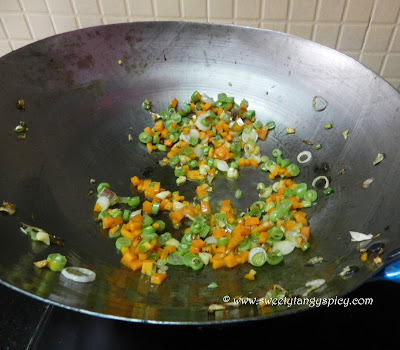 Add chopped vegetables, the spring onion bulbs, French beans and carrots. Saute for a minute. The veggies should be crisp. Never cook completely. (This stage you can add sauces if you like, 2 teaspoon soya sauce and 1 teaspoon chili sauce). Add the rice, pepper powder, salt to taste, and the spring onion greens. Then mix gently without breaking the rice grains. Heat 3 teaspoons of oil in a pan. Use olive oil or sunflower oil , I use sunflower oil here. Always keep the flame on high. Add 1 teaspoon chopped garlic and and 1 teaspoon chopped ginger. Saute for a minute on high flame, till the ginger and garlic became slightly brown. Then add spring onion bulbs, chopped and saute for one or two seconds. I have used two spring onion bulbs. Then add the chopped vegetables, the spring onion bulbs, French beans and carrot. Add the rice and salt. 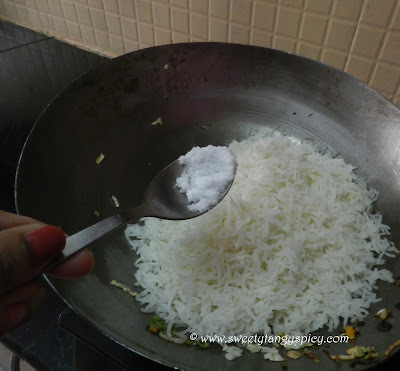 If you added salt while cooking rice, then a small pinch only. 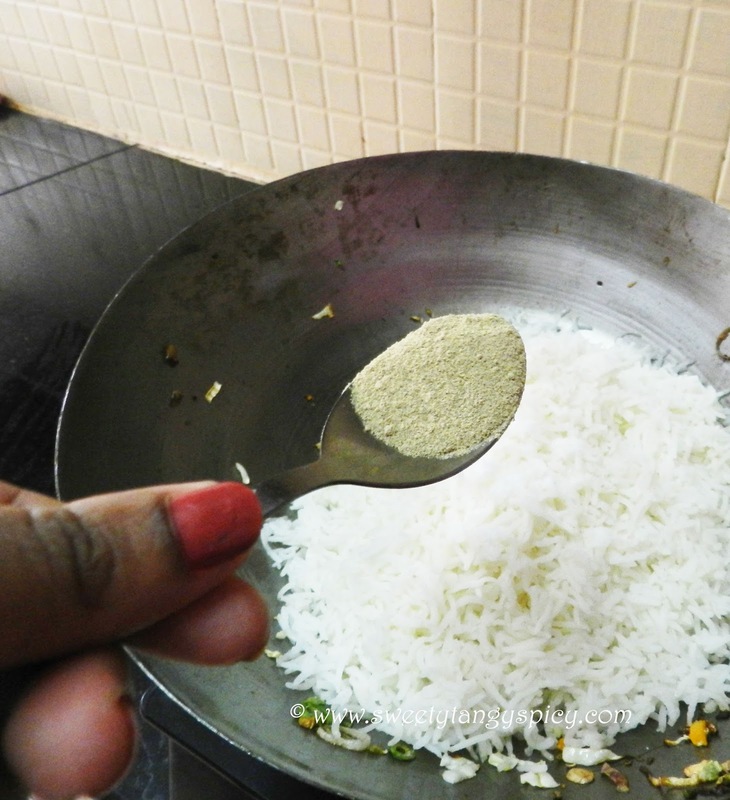 Add pepper powder taste, preferably white pepper powder. This will help you to retain the color. 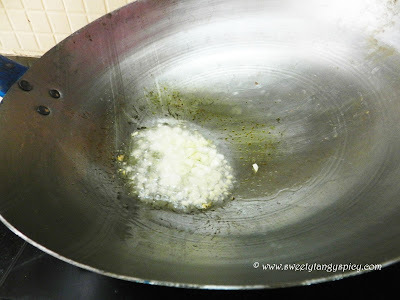 Saute carefully without breaking the grains. 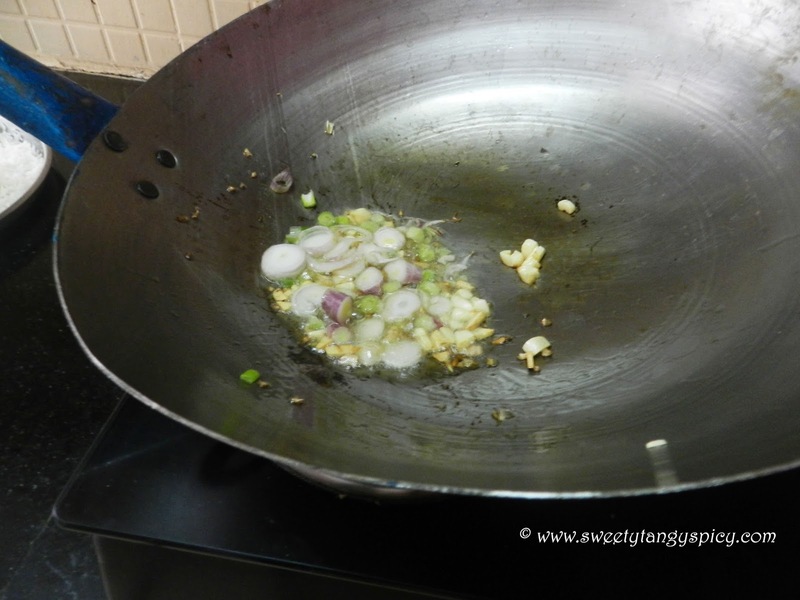 Finally, add some chopped spring onion greens and white vinegar. Then again mix gently so that everything mix up well. 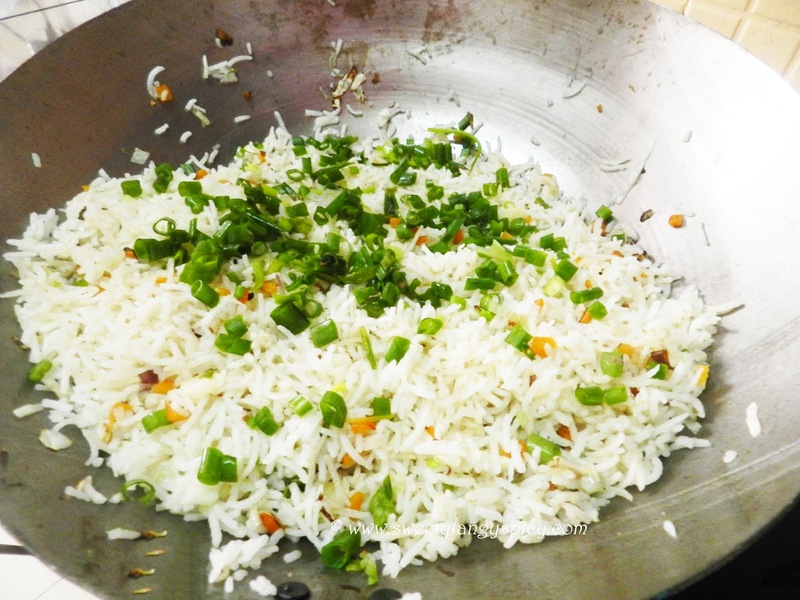 Use good quality rice and the rice should be cool down completely before cooking fried rice. You can try the same with coconut oil also. 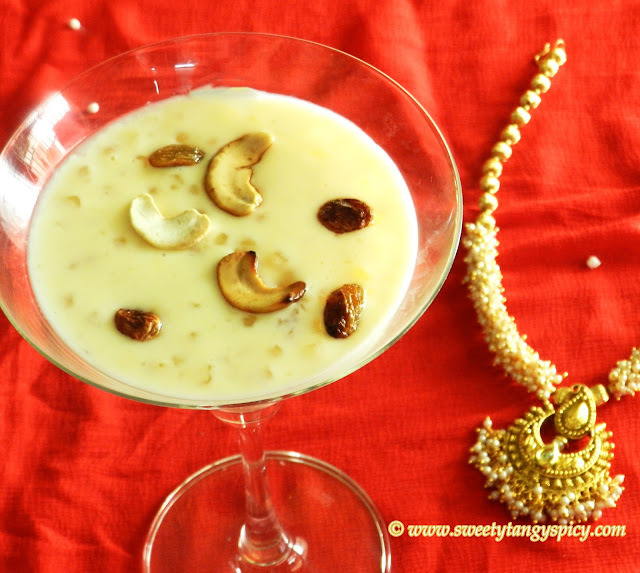 It adds a special taste to the dish.